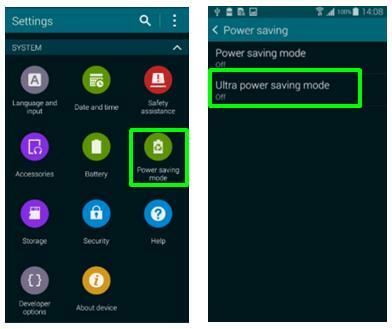 How do I use Ultra power saving mode on my Samsung Galaxy S5? 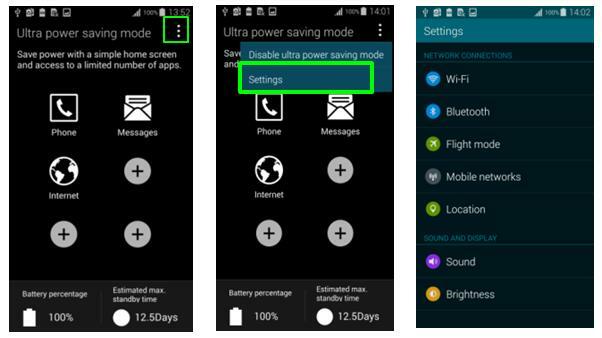 Ultra power saving mode helps save battery power by applying a simplified greyscale theme to your home screen and limiting the number of usable apps. 1. When on the Home screen drag down the notification panel from the top of the screen. 2. Scroll to the left on the quick settings panel then tap on U. power saving. 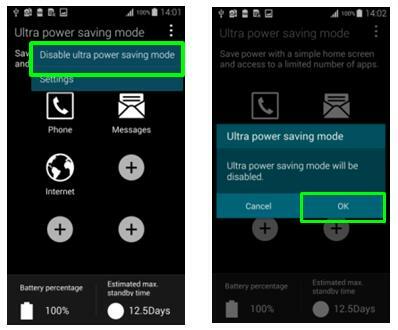 The current battery percentage and estimated maximum standby time information will be displayed for ultra power saving mode. 3. Tap OK to enable Ultra power saving mode. 1. 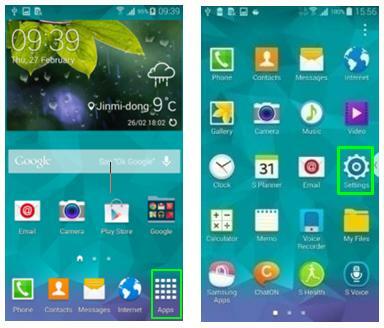 From the Home screen tap Apps and then tap Settings (you may need to swipe left or right first to locate it). 2. Tap Power saving mode and then tap Ultra power saving mode. 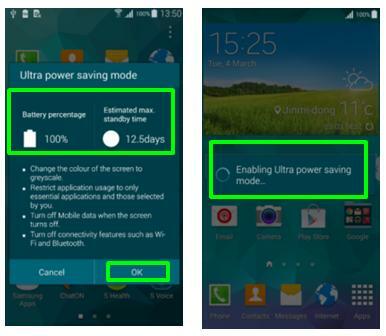 The current battery percentage and estimate max standby time information will be displayed for ultra power saving mode. Limit access to default apps and to various other apps that can be selected from a list. 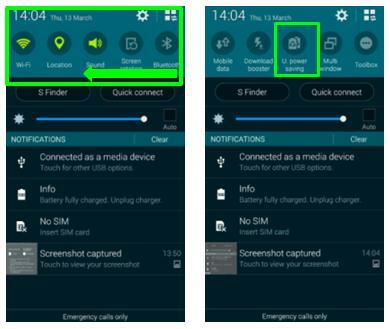 Deactivate the mobile data connection when the screen turns off. Deactivate the Wi-Fi and Bluetooth signals. At the bottom of the screen the remaining battery power and estimated battery running time is displayed. The estimate maximum standby time shows the approximate amount of time remaining while the device is idle before the battery power runs out. This time may vary depending on your device settings, surrounding environment, usage patterns and actual device usage. 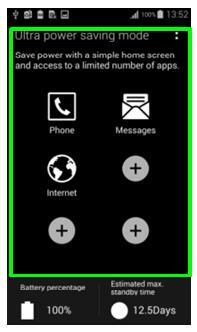 Essentially, in ultra power saving mode you can make phone calls, send messages and browse the internet, and do little else beyond that. If you tap on the Menu icon at the top right of the screen you can access the Settings area for the functions available in Ultra power saving mode. To return to normal mode touch Disable ultra power saving mode then tap OK.